If you have been shopping for a webcam, check out this one. It has some cool features and the nearest lower price I could find for this webcam on Google Products is around $100. So a great deal indeed. 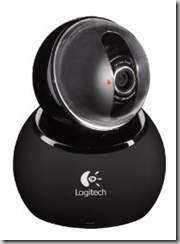 Logitech QuickCam Orbit AF Auto Focus System (Black) is an excellent webcam with some state of the art features in it. Amazon has it for $87.17 with free super saver shipping. This already a reduced price from $129.99 retail price. Let me know in the comments if you were able to get in on this deal. Logitech is a great camera that captures clear images and high quality videos. It’s best to use in Skype and Yahoo Messenger.